As a homeowner or business owner, you have an obligation to keep your heating system in the best condition possible. During the winter, your heater is vital to the comfort and security that people enjoy within your property. 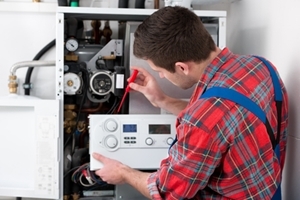 In order to have the most reliable and efficient heating system possible, it is necessary that you conduct routine maintenance on the system. At Steele Mechanical, LLC Air Conditioning and Heating, our HVAC contractors can provide for your maintenance needs through our annual heating tune-up in New Jersey. Our heating contractors like to think of our services as being comfort doctors. We inspect the entirety of your home or property comfort system. Our heating repair technicians then diagnose the precise problems that are causing sub-optimal performance. During our annual heating tune-ups, we can identify and repair each issue for you. If you have not conducted a heating tune-up this year, call Steele Mechanical, LLC Air Conditioning and Heating today. Our home comfort specialists are here to provide for all of your needs. We can schedule your service call today. Throughout much of the spring, summer, and fall, your heating system remains inactive. However, as we start to approach colder months, your heater instantly faces a high demand. During the long period of inactivity, many problems can arise. For this reason, it is best to conduct your annual heating tune-up right before your heater will once again be placed in full operation. By doing so, you can feel confident knowing that your heater will be able to provide for your family's comfort needs all winter long. In addition to preparing your heating system for the winter months, annual furnace and boiler maintenance provides a number of unique benefits. First, according to industry experts, up to 75% of heater break downs in the winter are caused my inadequate maintenance. By conducting an annual tune-up, you put your system in the best position to perform all winter long. Secondly, routine and adequate maintenance will improve the efficiency of your heating system. This benefit is great for two reasons. One, it will cost less to keep your New Jersey home comfortable during the winter. Two, your heater will be able to provide you with an enhanced level of comfort more easily and more quickly. Lastly, when you hire our New Jersey heating services team, you ensure that your home comfort system lasts for as long as possible. Your furnace, boiler, or heat pump is an expensive piece of equipment. Postponing the need to replace it can save you substantial sums of money in the long term. If you would like to schedule a heating tune-up in New Jersey, please call 609-259-3210 or complete our online request form.